One question Sundar Pichai gets a whole lot is why Google has both Chrome OS and the ecosystem around it, including its own devices — which are under his purview — and the Android mobile operating system. 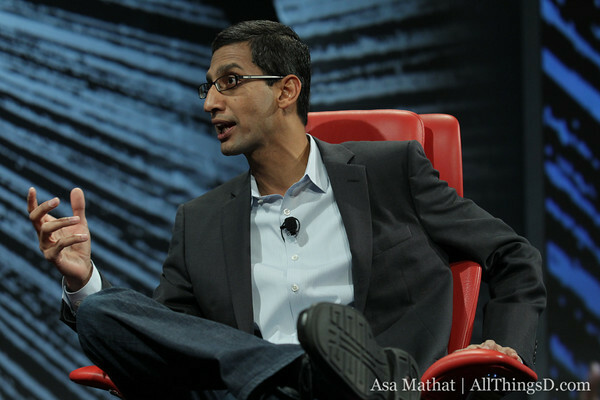 It’s gotten to the point that even his mother asked him that question, Pichai said. When Walt Mossberg asked it at D10 today, Pichai replied that he thinks the criticism is a bit unfair. Google’s competitors like Microsoft and Apple maintain different operating systems for mobile and desktop. But Chrome, Pichai said, is a “fundamentally different way of computing.” Applications and data both live in the cloud, and there’s “virtually zero administration” of the devices. Chromebooks may not have been super successful yet, but Google has now revised the interface and will soon have more of a physical retail presence, Pichai said. “This is a journey,” he said.